Two transgender women, 30 year old Misty K. Snow (Democrat), a grocery store clerk from Salt Lake City, Utah and 33 year old Misty Plowright (Democrat) who is a military veteran and works in IT in Colorado won their state primaries on Tuesday night and have been selected to run for spots in the US Congress in November. This will be a first in major-party American political history. 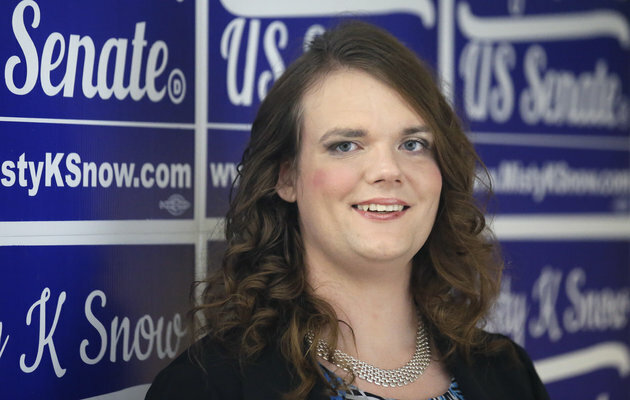 Misty K. Snow will run against Republican favorite Sen. Mike Lee in Utah this November, while Misty Plowright will challenge Rep. Doug Lamborn in Colorado. Snow beat her primary opponent, Jonathan Swinton, by almost 20% points, criticizing him for supporting limitations on abortion rights, according to a Salt Lake Tribune report. Plowright, on the other hand earned the Democratic nomination in Colorado by winning more than 13,000 votes while her opponent earned just over 9,600.